I love being able to have the chance to review a book for the younger set! 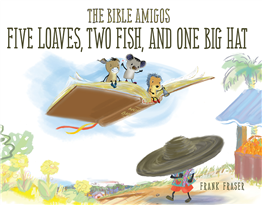 My youngest child is in the 6th grade, but my grandson is only three years old, and he loved this offering from Barbour Publishing--The Bible Amigos: Five Loaves, Two Fish, and One Big Hat by author and illustrator Frank Fraser. Mr. Fraser has worked on children's shows for PBS, Sprout, and more, and you can tell, because his illustrations are very endearing and appealing. My grandson was hooked! This precious book follows Walla (a koala), Donk (a donkey), and Edge (a hedgehog) on their adventures as the "Bible Amigos." Five Loaves is one of two Bible Amigos adventures (be sure and check out Jonah and the Bear as well). With a huge gust of wind which brings the big Bible in and signals their new fun is about to begin, the amigos hop aboard and wait to see where God needs them. "Bible Amigos, go, go, go!" Their adventure takes them across the world to help Jorge and his father rebuild a broken bridge, in order to help the children stranded on one side. Wondering how he can help and feeling very small and insignificant, Jorge's new friends Walla, Donk, and Edge seek the answer in God's word. "If you're really, honestly looking for answers, God kinda makes 'em pop out at you." Isn't that the truth? That is my favorite line from the whole story! The Bible Amigos use the parable of five loaves and two fish to teach Jorge about how even small children can contribute when a crisis arises. As Jorge calls out to Jesus to help him understand how he can be a help with the broken bridge situation, God shows him the exact thing to do to make a difference. Grab your little ones (recommended ages 3 - 7) and then grab this book to read to them! It is so precious---just the right length for short attention spans, with a very sweet and very understandable message for littles. As a bonus, the story is beautifully framed for adults to glean wisdom as well. "It is better to give a little something with love, than a whole lot of nothing." Sometimes our children need to hear this, and sometimes they need to know that even little things can be used by God to do big things. The Bible Amigos: Five Loaves, Two Fish, and One Big Hat is a beautifully illustrated hardback book which can be purchased for only $5.99 from the Barbour Publishing website or from Amazon for $7.99. 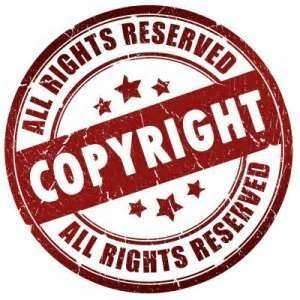 Disclaimer: Per FCC regulations, I disclose I was asked to review this title from Barbour Publishing in exchange for my honest opinion and blog post. No other compensation was received.